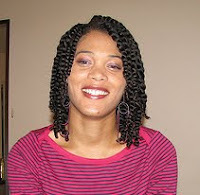 This week I wanted longer twists, so I lightly blow dried my hair out before twisting. 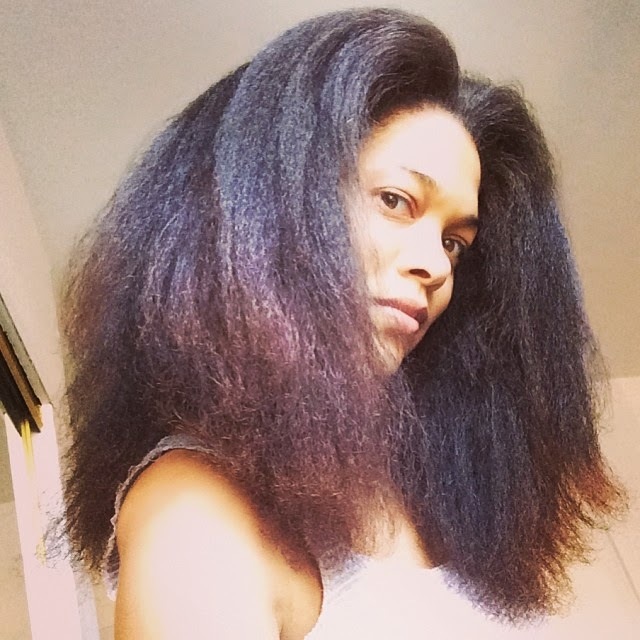 Every time I blow my hair out I am surprised by how much volume I have now. Last time was in mid July. I have discovered how to do it quickly. I braid into sections, and let them dry about half way, then starting from the ends of the braids I blow dry it out on med heat while slowly unraveling each braid. It stays de-tangled and manageable as I finish each section this way. I finished my whole head in about 20 minutes. 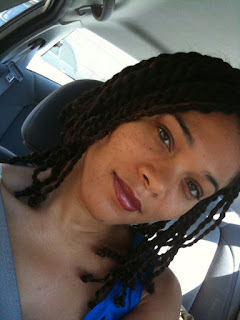 I braided it into large braids with a head band for a day out on the town with my girls, then the next day I twisted it in about 2 hours. My boyfriend loves these, and even twisted 3 of them for me. He calls them ropes, lol. 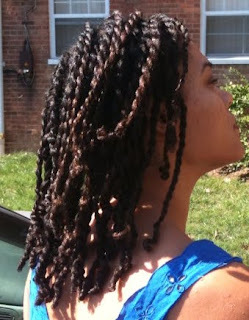 I slathered shea butter/mango butter and Infusium 23 moisturizing formula in my hair before blowing out and twisting. 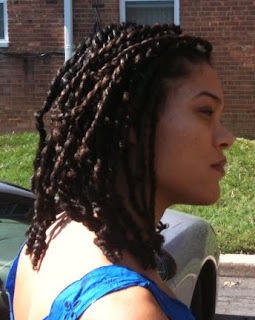 I used a bit of Eco styler gel mixed with shea butter to set the ends. I also used a bit of black seed oil mixed with tea tree on my scalp and then generally on my hair when finished for shine. You can also see my highlights in the sun pretty well. I still really like them alot. I hope to use the line of demarcation, where the color ends, to measure how much my hair has grown vrs how much length I have retained. 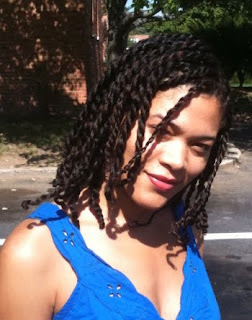 Check out the last picture of my silky twists from a year ago in October.